"To save energy don’t fill up the kettle at the start of the day and keep boiling it - just fill it with enough water for your cup." Easier said than done, right, tea fans? Well, the low-tech way is to fill your mug with water and then empty it in to the kettle; the high-tech option is to indulge yourself with this smart £54 Plunge Filter Kettle on the right. "Shop at your local corner shop and post office: it saves petrol, supports local shops, keeps them open and is a great way to meet neighbours." Kinda obvious, but useful as well as worthy: they usually stock a far better selection of magazines (such as Stuff) and food and drink than your typical Sainsburys Local or Tesco Express. Incidentally, the Exotic Paper Co's barmy paper-made-from-elephant-poo has just gone on sale over at the Natural Collection. Photo credit: PinkMoose. "Cotton production uses chemical insecticides on a vast scale. Almost a quarter of all pesticides used gloabally are used to grow cotton. So, cotton on: buy organic." And, frankly, when you can get such good organic cotton clobber as the £25 Howies tee on the left, why would you want stuff filled with chemicals? 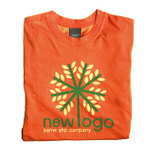 Other good organic tee companies to check: Indigo Clothing (for bulk, bespoke orders), Glo4Life (for superb graphic designs) and Hug (for kids). "Look out for products that are flat-packed or stackable. If a product is cleverly designed to be transported in big volumes taking small spaces it becomes extremely eco-friendly as it saves energy and waste in the transportation." Well, what else did you expect from IKEA? 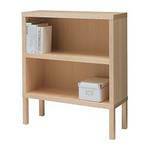 It's a sagacious pearl of advice, and the added bonus of buying flat-pack - such as the £35 AGERUM IKEA book case pictured - is that it's easy to pack up when you're moving house as I recently did. "Eat the seasons - food tastes amazing when it's the right time of year"
This week, how about a spot of crab? That's what the tremendously useful Eat the Seasons recommends - along with purple sprouting brocolli (yum), radishes, watercress and lots more. A good way to easily eat the seasons is to get a veg box from the likes of Abel & Cole, Riverford and Nafferton Farm. I'll be reviewing the first two shortly. "Re-use. Donate your unloved items to charity shops, so someone else can love them." Plus, as any student worth their frugal salt will tell you, there are a huge number of cool togs worth buying in charity shops. An old and obvious tip is to raid the stores in posh areas as they're usually rammed with designer clothes. Finally: Oxfam also has a neat, if rather fledgling, section on eBay that allows you to bid for stuff that's been donated to its shops, such as this Laura Ashley bag pictured. "Go vegetarian. There's nothing ethical about raising animals just so they can be eaten by humans, plus the raising of animals for food leaves a huge footprint on the earth"
I admit: I'm vegetarian too, so I'm completely biased on this. Anyhow, it's National Vegetarian Week in May (22nd-28th), so prepare yourself for lot of veggie propaganda info soon. 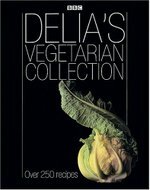 One of my favourite parts of the Veggie Society's website is its recipe section, which has about 600 for free, though I'm still clinging fiercely to my well-thumbed copy of Delia's excellent Vegetarian Collection, pictured. It's obvious, it helps the people out who are growing all our luxuries - such as the superb Palenque coffee on the left - and it puts you in good celebrity company: the likes of Harry Hill, Amanda Burton and Harry Hill are all Fairtrade fans. Besides, today you can buy everything from Fairtrade brews to footballs, cotton t-shirts and wine. There's a very useful list of all the products here. "Seek and destroy standby power. Stand in each room in your house and listen for the tell-tale hum of money and energy being steadily burnt up"
- Dave Reay, author of Climate Change Begins at Home (review here on Hippyshopper). "I'm not saying that people should always drive the speed limit, especially not in dense traffic with lots of speeding cars all around. 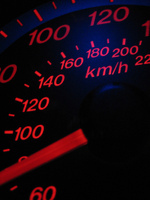 But on long trips on deserted roads, it can make a big difference."